Come and learn everything about elephants and our mission to take care and protect them! Meet, feed and care for the elephants and learn how to make coffee from the Karen hill tribe with organic coffee in the local village! 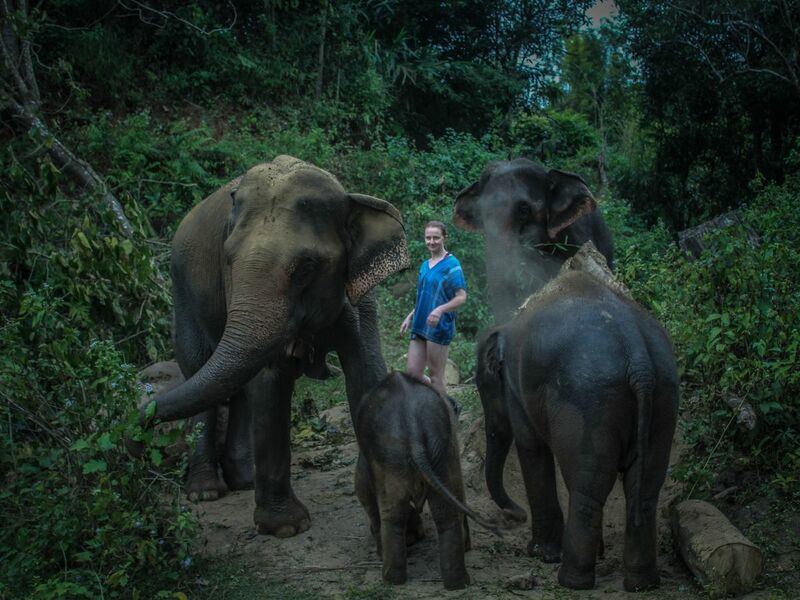 Let's meet the elephants and learn their stories from the local guides! Walk the elephants and help feed them. Now, you'll have lots of great opportunities for taking stunning photos with the cute elephants! Let's savor some delicious local food for lunch! Let's get wet! Help bathe the elephants with fresh water! Enjoy this once in a lifetime experience! Time to have a shower, change into clean clothes, and enjoy a cup of tea or coffee, and snacks! Let's go to a Karen hill tribe village and visit the village locals and learn stories about the Karen hill tribe, their language, and how to make original coffee, Karen style! Let's say good bye to the locals, and head back to Chiang Mai! Comfortable clothes, swim wear, clean clothes to change, insect repellent spray and sunscreen. A beautiful experience, there good to the elephants. And our tour guide Gaga was so funny!